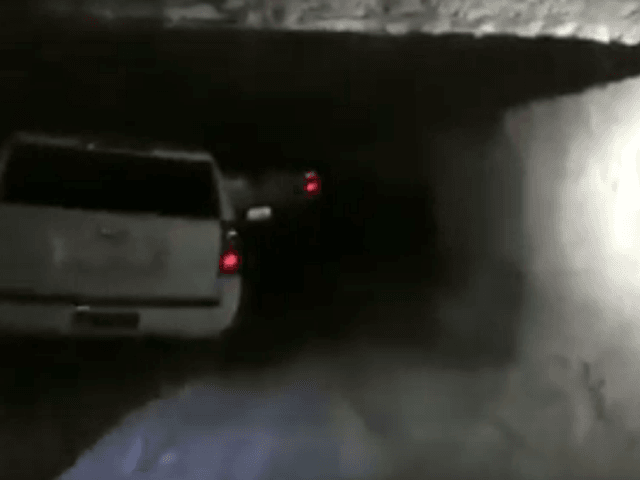 Mexican authorities carrying out routine patrols in Camargo, Tamaulipas, spotted an unusual hill-like structure that, upon closer inspection, was found to be a purpose-built bunker with three newer model SUVs that were armored. A video taken by Mexican authorities reveals in detail the steps that cartel members took to hide the bunker. A Mexican official is heard speaking behind the camera as he describes the way dry ice was used to cover the front doors and how cacti were placed on top to blend with the terrain. Camargo is immediately south of Rio Grande City, Texas, in an area also known as La Ribereña that is considered to be one of the main drug smuggling routes into the country. Currently, the area is controlled by the Gulf Cartel, however, there have been multiple incursions by factions of Los Zetas to take control of the area by force. The Gulf Cartel has gone through various internal fights that also led to multiple gun battles where gunmen used armored SUVs like the ones seized.